One of the surest ways to improve your personal diet and the diet of your children is to grow your fresh vegetables using organic gardening. It is not only healthy, but it also shows your children where their food comes from and connects them more with nature. In an organic garden, only natural materials are used to ensure plants grow in abundance. The benefits of organic gardening are numerous, but if you live in an apartment, condo or have very small yard space, your options may seem extremely limited for any garden much less an organic one. However, here I will share with you eight tips which will allow you to begin organic gardening in limited space whether in a small outdoor yard or inside containers to put you and your family on the road to better health. If you are planning your organic garden indoors, to be successful it is important that you select the right size container for the particular plant, herb or vegetable you plan on growing. 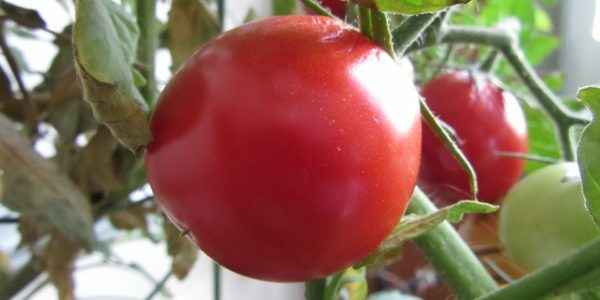 If you want to grow tomatoes for a healthy daily salad, you will want to use a large container, such as a 5-gallon bucket, which can support a 36” stake, a large vine and the weight of the tomatoes. If you want to grow herbs, just to spice up your family dinners and add more nutrients to your diet, a good size for that would be something that could fit on your windowsill. You can find different types and sizes of containers at your local nursery, the hardware garden centers and you can even order them on the internet. You can use almost any type of container to grow your organic garden, however, the absolute necessity of using containers, no matter which kind, is they must have proper drainage. No matter what you’re growing, if it sits in too much water for an extended period of time, the roots will rot, and your plant will die. For indoor gardens, I do not recommend going out and taking the soil from your yard or garden. Garden soil is usually too compacted which will restrict the proper runoff of water. Your best bet is to use a high-quality potting soil. You will also want to match the best type of soil for the plant you plan on growing. A quick check on the internet will give you all the information you need for selecting the right potting soil for the type of plants you will be growing. For outdoor gardens, you may use the soil in your garden mixed with soil best suited for the plants you plan on growing. I also recommend having your soil tested for its pH level. If you’re not sure how to do this, just take a sample of your soil to your local nursery or garden center, and they can do it for you. Just as in real estate, the location you place your containers or outdoor garden will determine how successful your organic garden will be. Make sure you place your plants where they will get adequate sunlight. Most of the plants will need a minimum of 4 hours sunlight, but 5 to 6 hours of sunlight is much better for them. Some plants need direct sunlight whereas other do not and can thrive with sunlight that does not directly hit their leaves. I also recommend positioning your plants so that they will receive at least some morning sunlight. By placing your planting area in the southeast part of your house or garden will give them more than adequate amounts of sunshine. For indoor and outdoor gardens it is imperative that you do not overwater the soil. Too much water will destroy your healthy organic garden. The excess water in containers is especially disastrous for your garden as it will cause the plant roots to rot. When you reuse the same soil to grow vegetable time after time, you will notice that you may need to use fertilizers to help your vegetables grow. Today it is very easy to go to your local hardware store or garden center and pick up natural organic compost to supply all the nutrition to help your plants and garden look its best. However, you can also make your organic compost yourself. Instead of throwing your leftovers, old papers and paper products, grass cuttings, coffee and tea grinds, etc.adding, into the garbage can, you can place them into a compost pile or compost container and let them break down into an all natural fertilizer. You can also speed up the decomposition by making sure you aerate it (by turning over water to the compost pile). In an outdoor organic garden, you may have weeds. Weeds will compete for nutrition with your plants. The fastest way to combat weeds is to resort to the old fashion way of hoeing and pulling the weeds from the soil. However, I t is possible to find organic weed killers such as a corn weed blocker at your local hardware store or garden center. This weed blocker is made from corn gluten and is 100% all natural. Not only does it act as a weed killer, as it breaks down, it will release nitrogen into your organic yard or garden and act as a natural fertilizer. In an organic garden outside you may need to use a pest control. One of the natural pest controls is the smell of cedar or even the smell of garlic. Just spread them over your garden and the pests will move quickly away. Another all natural way to control pests is to use birds! In order to attract enough birds, you can create an environment around your garden that is bird friendly by placing a birdhouse which is made especially for the type of birds which frequent your area. Also place a small container filled with water or go for something more sophisticated, like a small bird pond or a running fresh water fountain. Not only are you furnishing a nesting area for the birds and making water freely accessible to them, you are also making your small garden prettier. Once the birds are drawn to your garden and realize they can feast on your pests, your infestation problem will quickly be solved. Insects can also help in controlling pests which damage your garden. Beneficial insects will be drawn to your garden when you mix pollen plants, such as honeysuckle with your other plants. The aroma released by honeysuckle draw them in and they will keep your garden pest free. Growing your organic garden and working hands on with the earth is great for your spirit. You will receive such a sense of well-being when you are tending to your garden whether it be indoors or outdoors, especially when you have a fruitful harvest. Check out my article on growing your own wheat or barley grass at home HERE. They are both exceptionally nutritious plants and grow easily practically anywhere. In conclusion, no matter where you live it is possible to have your own successful garden to help improve your family’s diet. Organic gardening will help you come closer to nature and nothing beats that. Thank you for taking the time to read this. If you are serious about improving your health no matter what your age or circumstance are, and are ready to achieve better results with your weight loss attempts, guaranteed, then join my mailing list where you will receive my weekly newsletter with groundbreaking health, motivational content, recipes, supplement recommendations, simple workouts, as well as many FREE bonuses and special offers. Click HERE to subscribe. Or visit the Guerrilla Diet Website for my health advice, offers, programs and free information HERE.